The NGRM700 is an advanced device that allows continuous NGR monitoring to provide all necessary information of the system grounding. The NGRM700 monitors the resistance value of the Neutral Grounding Resistor (NGR) and the fault current flowing through the NGR in High Resistance Grounded (HRG) systems. 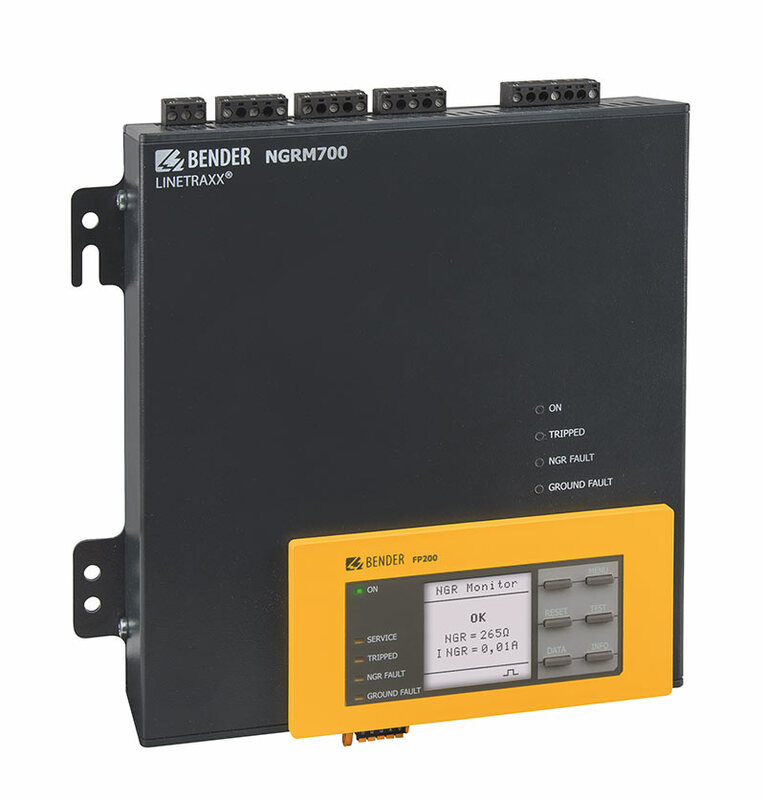 The ideal relay to protect HRG systems and to provide a comprehensive overview. The relay can be connected to the supervision system or directly to the communication network. The NGRM700 allows the user to meet local requirements. It can be used to perform the functions required by Rule 10-302, Use of Impedance Grounded Systems, of the CE Code, C22.1-18, Section 10, Grounding and Bonding. *When using the "transparent front cover 144x72 (IP 65)" the cutout in the switchboard cabinet must be extended in height from 66 mm to 68 mm (+0.7/-0 mm). The degree of protection IP65 applies only to the user interface FP200-NGRM when using the front cover. The degree of protection for the complete device is still IP30.